There are various paint manufacturers that offer elastomeric paints included on their product line. These elastomeric paint brands are not created equal and every elastomeric paint varies from each other. Some brands have various type of elastomeric paint while others only have a few to offer covering various applications. Sometimes you can tell the best elastomeric paint from its brand. Here are some elastomeric paint brands available in the market today. Ames Research Laboratories, Inc. is a manufacturer of elastomeric coatings and paints located in Oregon. Previously called Oregon Research and Development previously founded and owned by W. Ames Curtright. They manufacture elastomeric roofing products, paints, primers, and coatings. Behr manufactures interior and exterior paint known for their extensive variety of colors. Founded by Otho Behr Jr. after the world war in !947 and based in Santa Ana, California. Their elastomeric paint line include Elastomeric Masonry, Stucco & Brick Paint and BEHR Premium Select 5-Gallon Masonry and Stucco Elastomeric Coating. The company offers interior and exterior paint through thousands of independent retailers and paint stores across the countru. Benjamin Moore is owned by Berkshire Hathaway which was founded in 1883 by Benjamin Moore. The company is currently based in Montvale, New Jersey. Benjamim Moore's elastomeric paint products include Super Spec Masonry Products. Sherwin Williams is one of the largest paint manufacturer in the and includes many paint brands founded in 1866 by Henry Sherwin and Edward Williams in Cleveland, Ohio. They offer interior and exterior paints and sells them to professional, commercial, industrial, and retail customers through their retail stores in North and South America. They also have other products like primers, wood stains, and wallpaper. There are other brands that belong to Sherwin Williams like Bestt Liebco, Dutch Boy, Duron, Easy Living, M.A.B. Paints, Minwax, and many others. The Valspar Corporation is one of the biggest international paint and coatings manufacturer based in Minneapolis, Minnesota. 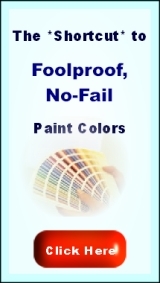 It was founded in 1806 by Samuel Tuck as paint dealership in Boston, Massachusetts called "Paint and Color and changed name and ownership several times. Valspar Corporation has a number of separate brand names including Valspar, Plasti-Kote, House of Kolor, Cabot Stain, Barn and Fence, De Beer Lakfabrieken, and LIC. One of the elastomeric paint offered by Valspar is the Duramax Elastomeric Exterior Masonry and Stucco Paint. Rodda Paint is a paint manufacturing company in the Pacific Northwest region which was founded by Arthur Rodda in 1932 in Portland, Oregon. It is known in Canada as Cloverdale Paint since the merged in 2004. Their elastomeric paint products include Super Roflex and pHlex-tite Elastomeric Paint line. Dunn Edwards is a manufacturer and supplier of architectural and industrial coatings in the Southwest. Its paint is formulated and manufactured exclusively for the Southwest climate. It was founded by Frank “Buddy” Dunn in 1925 with its main office in Los Angeles, California. Its line of elastomeric paint include FLEX-TEX Elastomeric Coating and ENDURAWALL Elastomeric Wall Coating. There are many more elastomeric paint brands like Glidden, PPG Pittsburgh Paints, Gardner-Gibson, Porter, Scott Paint, Nippon Paint in Singapore, Davies Paints, and more. In general, the quality of coating can be determined by the price and performance of the elastomeric paint. A good paint will cost more since their ingridients costs more and performance can only be known once you have used it or you know someone who has used it before. Take a trip to your local paint store and talk to someone there if you can't think of where to start and tell them about your where you're having issues with. Good luck finding the best elastomeric paint brand.